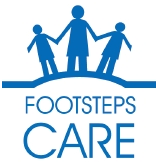 Footsteps Care is the children's services section of the Footsteps Group; providing accommodation, care and support for individuals with learning disabilities. Our Children Services provide residential care at two locations within residential homes. These homes ensure that the needs of children are met when they cannot live with their own family. The homes are places where children develop and grow as well as provide for daily living needs, shelter, protection and space to play and engage in leisure within a caring environment. Our Children Services are regulated by law. We are inspected by Ofsted, the regulatory organisation with responsibility of ensuring that we comply with standards and legislation to deliver expected outcomes. We subscribe to these values which underpin our service. The child's welfare , safety and needs is at the centre of our care. Children should have an enjoyable childhood, and benefit from excellent parenting and education, enjoying a wide range of opportunities to develop their talents and skills leading to a successful adult life. Children are entitled to grow up in a loving environment that can meet their developmental needs. Every child should have his or her wishes and feelings listened to and taken into account. Each child should be valued as an individual and given personalised support in line with their individual needs and background in order to develop their identity, self-confidence and self-worth. The particular needs of children with disabilities and children with complex needs are fully recognised and taken into account. Looked after children should wherever possible maintain relationships with birth parents and their wider family. Children at our homes will be given the opportunity to have as full an experience of a supportive homely environment as possible. Our carers will be recognised as core members of a team around the child with an important contribution to make in planning and decision making about the child. Our staff are developed through opportunities to train and learn in order to provide the best care for children. Genuine partnerships are maintained between all those involved in our homes to deliver best outcomes for children: this includes the Government, local government authorities, schools and places providing education, health services and other statutory agencies.